Over the course of a decade, Saturday Night Live’s Digital Shorts became a groundbreaking way to bring sketch comedy to the world in bite-size chunks. What started off as just a few of the show’s writers and cast members going off to do their own thing became the most anticipated and beloved segment of the show going into the new millennium, and is often cited as one of the primary reasons Youtube took off. In the span of just a few minutes, the Digital Shorts could get in and get out with a strange, witty idea, without overstaying its welcome—a problem SNL has always had. By the second one, the Digital Short became a huge hit, revitalizing Saturday Night Live and bringing a fresh new style of humor that still resonates long after the show’s shorts creators have moved on. 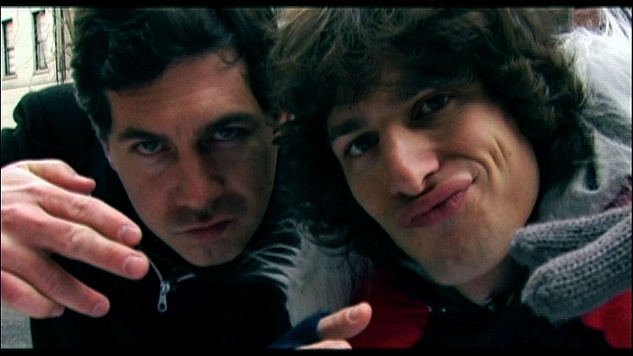 The three primary short creators—Andy Samberg, Akiva Schaffer and Jorma Taccone—, a comedy rap group that would become almost as popular as the shorts themselves. With the first Lonely Island film Popstar: Never Stop Never Stopping on the way later this year, let’s take a look at the Digital Shorts from worst to best—all 104 of them. The premise of “Daiquiri Girl” is that the original idea would have featured that week’s musical guest Gnarls Barkley, but when they bailed, Akiva Schaffer and Andy Samberg got drunk and made this terrible ‘90s music video, as Samberg sings a terrible song while dressed sort of like an early version of Shy Ronnie. While that is the joke, “Daiquiri Girl” is so bad, it’s hard not to imagine that this must be somewhat based in truth. The Digital Shorts have done intentionally bad before in hilarious ways, but “Daiquiri Girl” is just bad bad. Watch it here. One of only two Digital Shorts to be written by Jorma Taccone and Akiva Schaffer without Andy Samberg, “Hey! (Murray Hill)” just really doesn’t have much going for it. As a sort of parody of CW teen dramas, James Franco plays a man who can’t quit telling a woman (Kristen Wiig) that comes up to him about his tiny ding-dong. That’s about it. Eventually Blake Lively shows up to mention she also has a tiny ding-dong as they leave together, but there’s really nothing beyond that. “Hey! (Murray Hill)” doesn’t work as a parody of the shows it’s mimicking and the one joke it has to tell never really works.